This is a stunning card Caroline, I love that you watercoloured the butterflies and the kraft accent colour is beautiful with the purples! 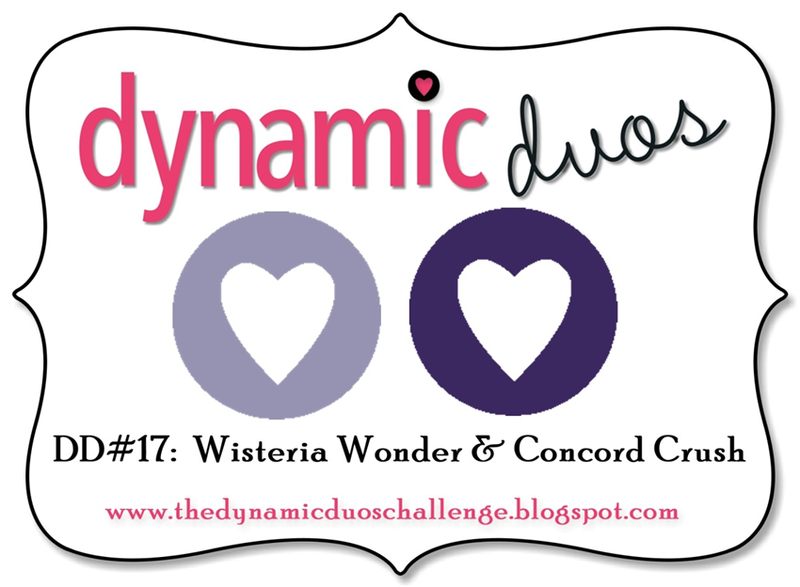 Thank you so much for joining us at Dynamic Duos! I love how you colored your butterflies! Thanks for playing with us at Dynamic Duos! Nice design Caroline. Love the butterflies. Thanks for joining us at Dynamic Duos. Very pretty - love the texture. I have this set too - need to use it more!